TypeScript switch statement executes one statement from multiple conditions. It evaluates an expression based on its value that could be boolean, number, byte, short, int, long, enum type, string, etc. A switch statement has one block of code corresponding to each value. When the match is found, the corresponding block will be executed. 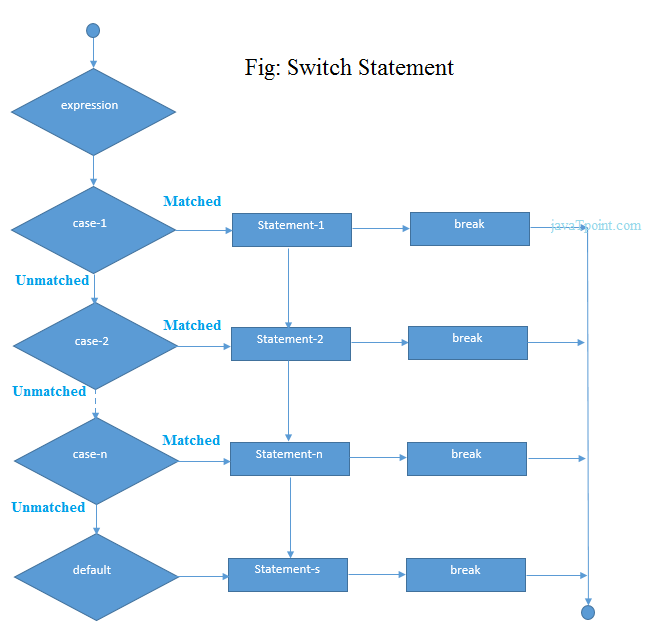 A switch statement is work like if-else-if ladder statement. There can be N number of cases inside a switch statement. The case values must be unique. The case values must be constant. Each case statement has a break statement at the end of the code. The break statement is optional. The switch statement has a default block which is written at the end. The default statement is optional. The TypeScript switch statement is fall-through. It means if a break statement is not present, then it executes all statements after the first match case.